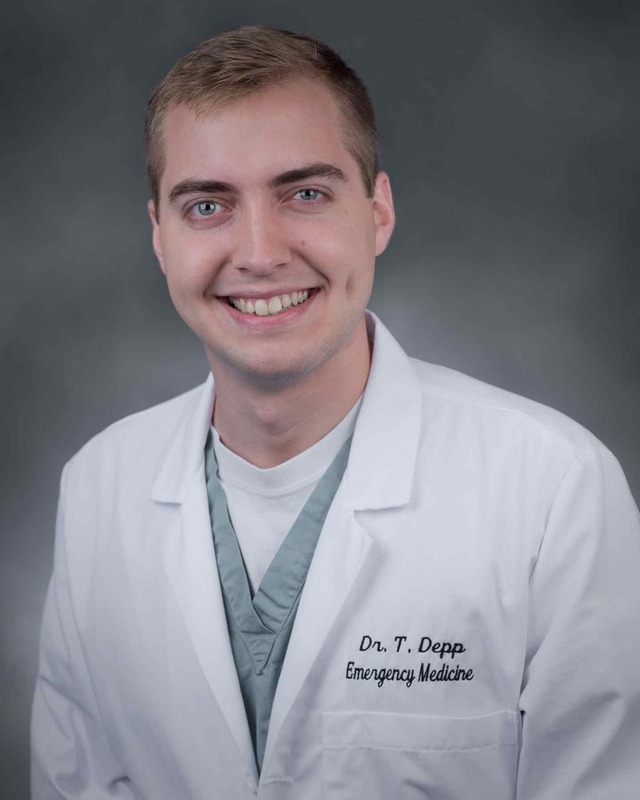 Dr. Depp is a graduate of the University of Pittsburgh School of Medicine and a member of the Palmetto Health EM Class of 2016. No one knows when the first Samoans landed on what is now their island, but they've most likely been present for several thousand years, since Lapita migrations between 2500 and 1500 BC, making Samoan culture in a word, ancient. Spaniards, pirates, and missionaries, all came and went with their goods and services. And the Manua Samoa, the Samoan Way, has continued, albeit somewhat changed. Important distinctions are maintained, including the divide between the sovereign nation of Samoa (formerly "Western Samoa"), and American Samoa (a US protectorate). 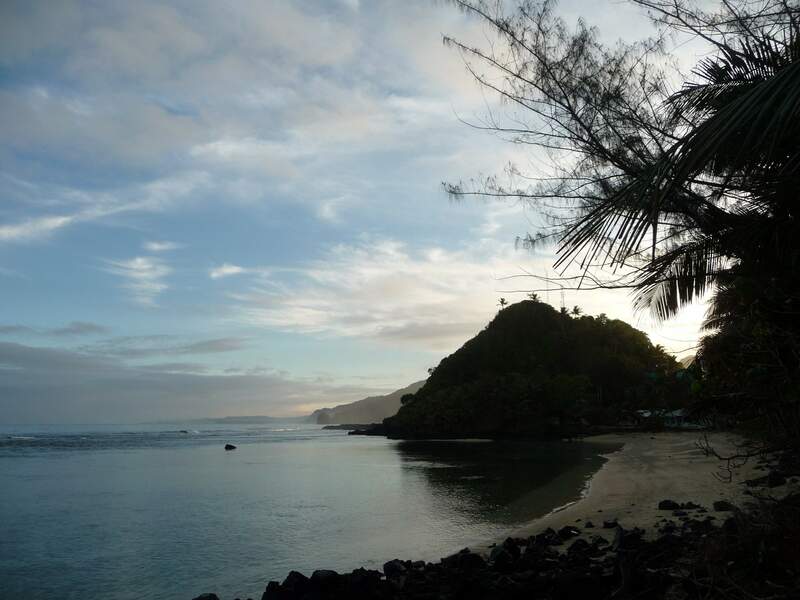 With a total population of around 270,000, the religion of the Samoan Islands is now Christianity, with 98% self-identifying as catholic or protestant. In spite of proximity to New Zealand, with only a few hours flight separating the islands, the Samoan Islands remain geographically sequestered, with relatively little traffic from other countries. It might then come as a surprise that a group of South Carolinians has had ongoing contact and visits to Samoa for many years. The key player is Vaifanua Pele, a retired resident of Cayce, South Carolina, who was born in Samoa. After finishing his secondary education, he joined the military and spent the remainder of his career in the army. After retiring he became a pastor, and as one of the bloodline leaders of his village in American Samoa, he has continued his role as a local leader in leveraging resources for local outreach to his fellow Samoans. 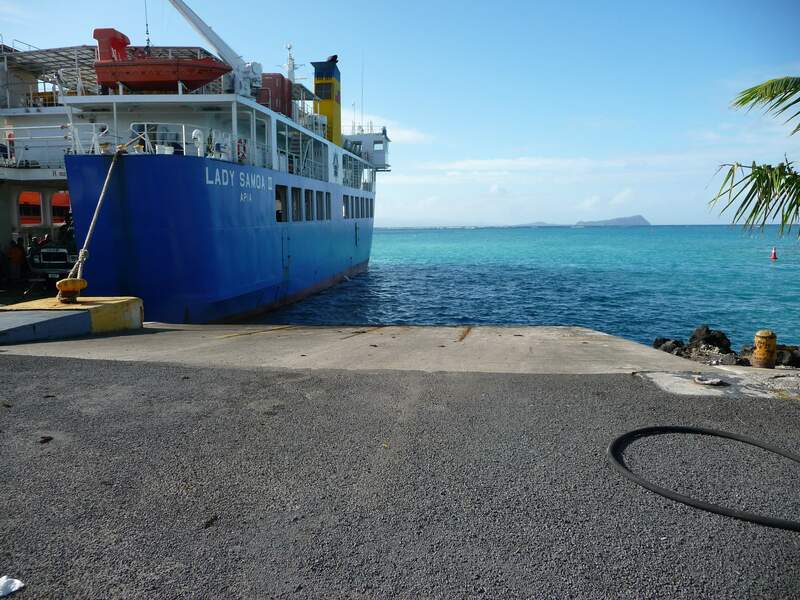 He leads a yearly trip to the Samoan Islands with a team from the SC midstate, including physicians, pharmacy, and nursing staff. While Samoans are naturally robust people, the introduction of a western diet high in refined sugars has led to an epidemic of obesity and associated diabetes, hypertension, and coronary artery disease. A mixture of traditional remedies and poor health literacy often lead to delayed care and poor health outcomes. 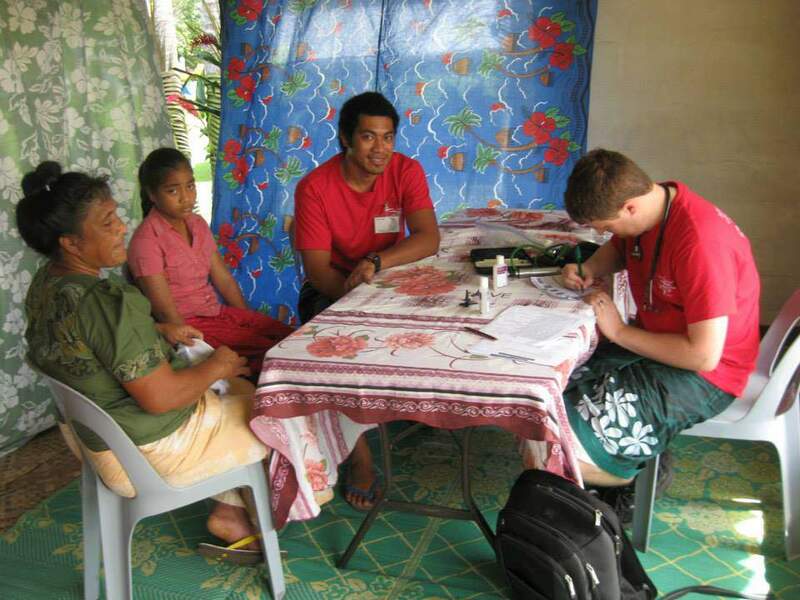 During our two week trip, we had six day-long clinics in villages throughout the Samoan Islands. Many patients presented to the walk-in clinics with general malaise and blood glucoses over 500. Many people seem to live in this range (for how long?) and did not feel they needed further care, so we offered them oral anti-hyperglycemics and strongly encouraged followup. Most patients would likely benefit from a combination lipid-glycemic-hypertension pill, which is hopefully on the horizon from the WHO formulary. Patients were grateful for simple interventions like tylenol or refills of their pharmacy regimen. Interesting cases included a suspected case of fish handler's disease, mycobacterium marinum, undiagnosed mucocutaneous lesions with chronic nosebleeds, and a high incidence of perforated eardrums from chronic pediatric ear infections. Logistics for short term medical clinics are resource intensive and complex. The trip's visionary is Pele, and Steve is his right-hand man executing the complex logistical plan. Shortly after arriving home from the trip, the preparations for the following year almost immediately ensue. Every year several tons of medications and durable medical equipment are shipped in boxes to the islands in preparation for the team's arrival. Each day requires assembly of the supplies, personnel, and advertisement through local communities for exchange of the medical resources. If any piece falls out of place, either through lost supplies or poor advertising or weather, the efforts can be a wash. Our trip was largely successful by historic standards with daily clinic visits in the hundreds. Short term trips have their own challenges. Impact barriers such as language, local familiarity, followup, and lack of continuity were significant. While sometimes there was success, such as immediate referral of a pediatric incarcerated hernia to a local hospital, other times we floundered a bit. For instance, an eleven year old girl with severe club feet, who came to our clinic, barely able to walk. After talking with her grandmother, she had been seen by well-intentioned medical teams for several years, without much benefit. She had been previously evaluated by a Shriner's Children's Orthopedic team, and was promised corrective surgery, but hadn't been able to get the surgery. 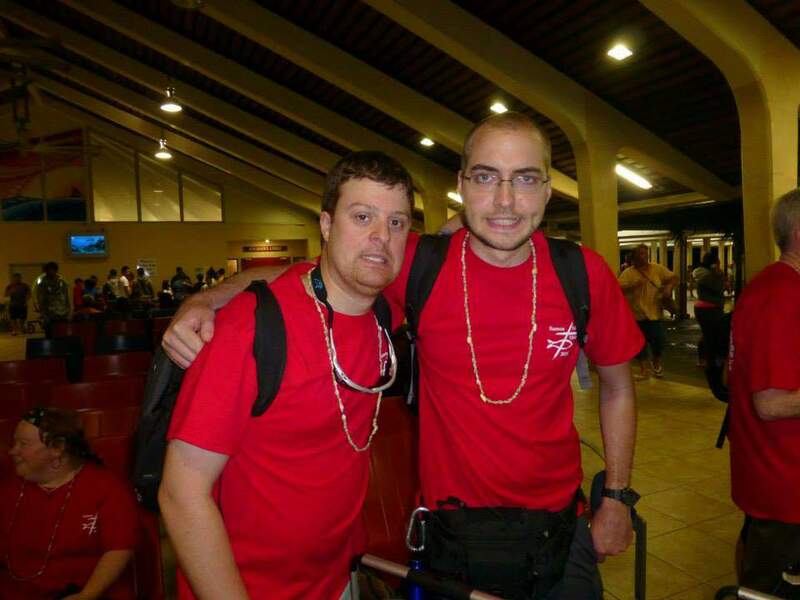 In the ensuing months after the trip, emailing with the Shriner's team, they required legal consent from her parents, who were working in New Zealand and couldn't be reached. While our team could offer her pain medication for a week or two, ultimately we had little else to offer. Her crippling deformities seemed to be a visible representation of the challenges of chronic medical conditions which our short term team attempted to treat. Overall, it was a fun trip. Medically we were probably accessory to some good outcomes. The best part was getting to know our Samoan hosts. It is a culture of deep generosity and respect, and I was very grateful to take part in it!